Looking for just the right Hovercraft can be a long process, it has taken me more than 12 years. I searched Canada, Europe, Russia, Australia and the USA from Alaska to the lower 48. I rode in a few, some lacked performance, others had no proven endurance and sadly some were of very poor quality, but then one day I stumbled upon Amphibious Marine Inc. Amphibious Marine Inc’s Explorer Hovercraft could easily prove performance and endurance with their 1400 mile trip up the inside passage to Alaska, as for quality – I took a chance and ordered one without an onsite visit, I had a business commitment and I could not make an immediate trip to Shelton, WA. I was in line to purchase the new Explorer 24, Bryan was very good at keeping me up to date on construction progress. All was going very smoothly, then my retirement came around and I had more time to focus on my upcoming Hovercraft. From this point on I confronted Bryan with all sorts of requests, from hatches, to radio and radar systems, to USB and power ports, to extra fuel tanks, to high output heaters, to head liner, special decals and striping. I’m sure there were other things, but Bryan took everything in stride, always explaining the operation, advantages, or disadvantages of my requests. He went above and beyond to assist with arrangements for my mechanics training on the Steyr diesel engine. A few sentences does not seem adequate to show all the time Bryan put in, nor the information I was given, we looked at Arctic Fuel spec, cold weather oil, heater output just to name a few things I was helped with. 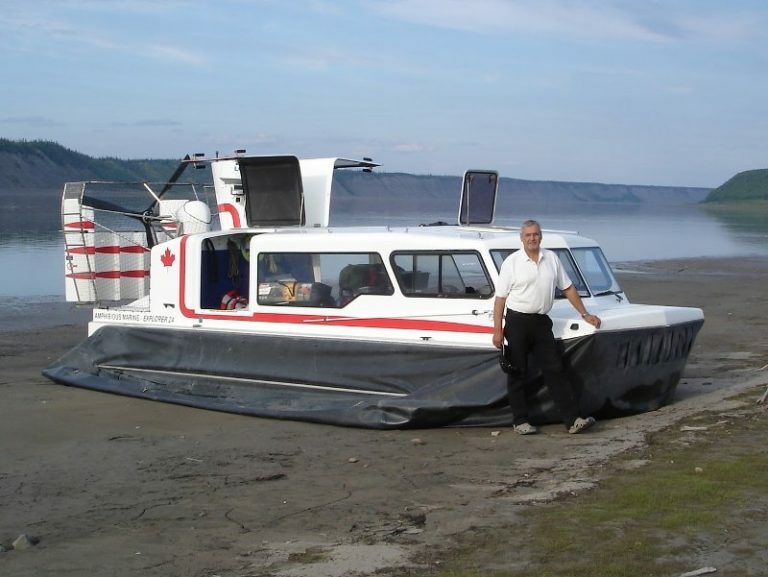 Bryan also did considerable research on Canadian hovercraft regulations that will assist me if or when I decide to operate my hovercraft commercially. My mechanic, my wife and I arrived at Amphibious Marine in Sheldon, WA on June 22 for a 4 day orientation and training program. I can’t say enough about the hospitality we received, we were put at ease with the easy going but precise Bryan Phillips, the wonderful and patient Angela Philips as well as by Bryan’s parents. I got to see my completed Hovercraft in person, no, I wasn’t surprised by the excellent quality, a little in awe but not surprised. All I can say is that the days flew by; we encountered every type of water possible, from wind and waves to calm conditions, The Explorer 24 hovercraft shone throughout. With Bryan’s instruction, we spent 3 days hands on “driving” and one day on the mechanical systems; this amount of training will give me the knowledge to handle most situations however I know I will be operating my wonderful Explorer very cautiously. 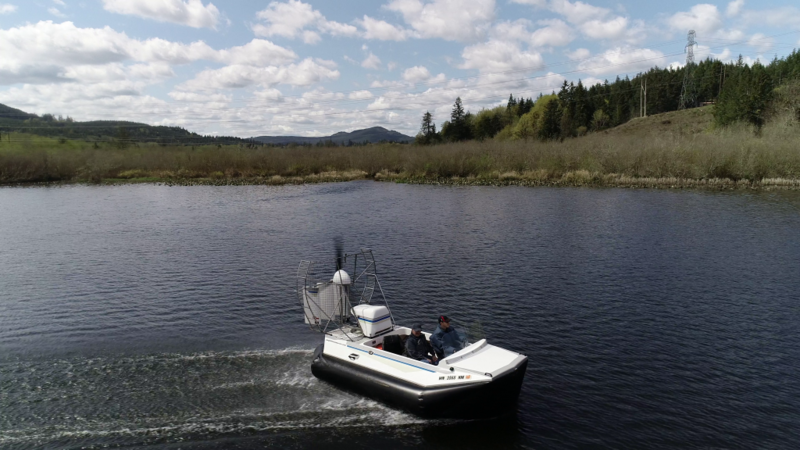 The Explorer 24 hovercraft is a quality product, designed and manufactured by the very dedicated and talented Bryan Phillips. 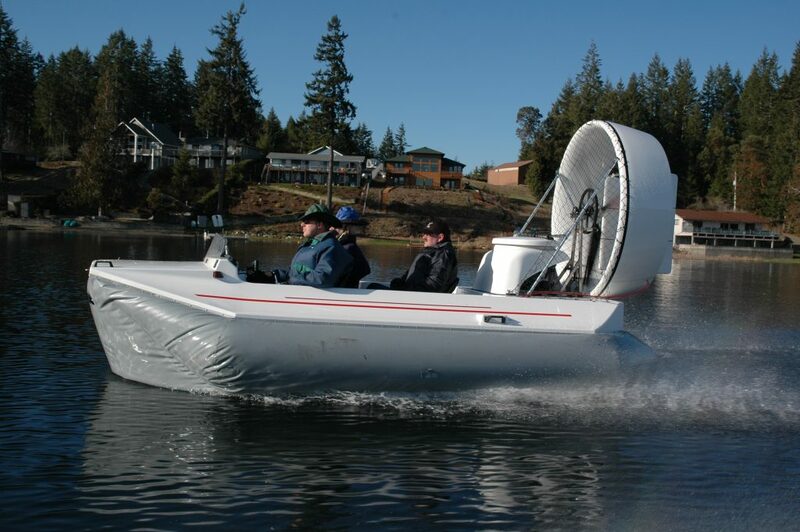 Testimonial of long time customer: Mike of Washington: Over a period of ten years I have enjoyed the help and support from Bryan and Angela to realize my dream of hovercraft adventuring. Amphibious Marine built my first AM-14 just the way I wanted it in 2008, and now I am enjoying my just finished 2018 spec AM-14 with the bigger engine and prop. It is as great as Bryan said it would be and I am thrilled with it. There are so many options, you can truly get exactly what you want. And if you need something special, Bryan can make just about anything in his well-equipped shop. The computer controlled tooling is amazing. Not only are Amphibious Marine hovercraft the best designed, but they are super reliable, easy to maintain, and cheap to operate.